CT is fighting to keep their spot in the casino market. With bolstering competition booming in the nearby states of Rhode Island and New York, Connecticut has seen a severe loss of casino revenue. The gaming facilities in New York and Rhode Island have been attracting more and more customers for quite some time now, and the two luxurious Connecticut casinos- Foxwoods and Mohegan Sun- having been getting less and less attention from the gambling public. Now it is certainly a well-known truth to say that it takes money to make money, and a similar idea is in the works in Connecticut. Nobody ever really wants to just throw money at the problem; nevertheless, you can’t beat the competition without building your own, well, competition. So what exactly is in the works to create more gaming revenue in Connecticut? You guessed it, more casinos. Obviously, this is not a very inexpensive endeavor to undertake. And now that MGM Springfield’s casino is set to be located only a few miles north of Connecticut’s border, retaliation is likely on its way. Connecticut lawmakers are building the first draft of legislation that will allow Connecticut to build more casinos all throughout the state. Officials from Mohegan and Mashantucket Pequot tribes made the announcement on March 10th at 11:30. With a new casino practically right around the corner from Hartford, plus two additional casinos and a slots parlor going up in Massachusetts, many are seriously worried about succumbing to even further losses. 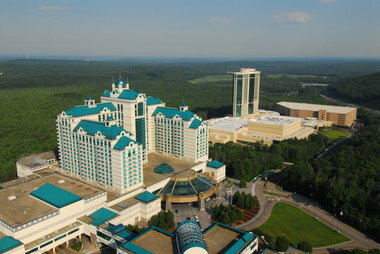 Connecticut’s Public Safety Committee spoke to the Associated Press saying that the new nearby Casino’s are a threat to the tribes and the sate’s economy. Senate Majority Leader Bob Duff just said, “Massachusetts has declared economic war on us,” and continued with, “and we’re going to strike back.” It will certainly be interesting to see how all of this plays out for Connecticut.